Did you get more sleep in August? Summer has come to an end, and we hope August was warm and good to you and that you got lots of sleep. August is the most rejuvenating month of the year and this year, it’s more important to our family than ever before. We have another baby coming into our family in October, so this past month was the second to last month of our present life schedule without a new toddler that will definitely test our sleep skills. Yes preparing for the family expansion is important, but making sure we are well rested going into this unpredictable period is even more important; in fact, it’s the most important. It’s also the reason why we slowed down big time in August and sleep became our newest highest priority. Typically, and ironically, the one aspect of lifestyle that is often considered the most expendable is the most important. So important in fact that there isn’t one function in your life or my life that isn’t affected by either the surplus or depletion of energy that comes primarily from our sleep routine. 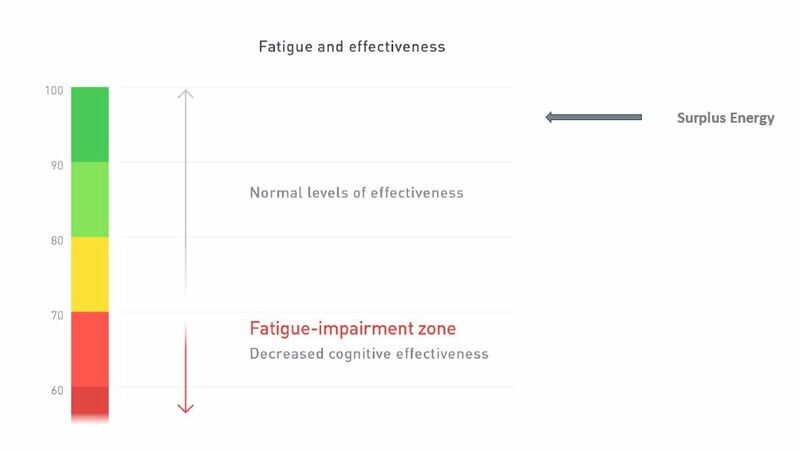 It’s why the entire Performance Lifestyle curriculum starts with learning how to establish optimal 7-9 hours or more of actual sleep, not total-time-in-bed. These are very different concepts and one depends on the other. For years I thought I was getting the “8 hours of sleep” we all hear so much about by going to bed at 10 PM and waking up at 6 AM. Assuming I fell asleep the minute my head touched the pillow (which would not be a good sign), and, that I didn’t wake up not once the entire time, I would have been correct in getting 8 hours of sleep. But does that sound likely to you? And now in retrospect, the answer to “why in the heck was I so tired all the time?” is clear. In actuality, I was getting approximately 6.3 hours of sleep or less based on testing. No wonder I felt tired virtually all the time, for decades, despite having relatively optimal nutrition and excellent exercise habits. The only exception to feeling tired all the time, was when I was super stimulated, which was probably why that was my aim near all the time as an entrepreneur and athletic person. The over stimulation of constantly going camouflaged my fatigue to a large extent for a long time, but it only covered it up. When I wasn’t in high gear mode I was exhausted beyond measure. There may be many ways to explain that feeling of fatigue and low-grade anxiety that persisted within me for years, but one thing I can now tell you with certainty, being short nearly two hours of sleep per night for probably 4 decades was not helping my plight. 2 hours of energy debt, (depletion due to lost sleep) per night compounded over years will take a massive toll on your life (I am no exception) and the worst thing is; virtually nobody will catch it. Your fatigue, your bodies malfunctions, your desire to over eat and be inactive and that feeling of being a little “cookoo for coco puffs” etc… will be blamed on your psychology, your nutrition, your everything else like a questionable purpose or passion for your job etc and all of these may have some merit; but few if any, will look into your sleep and how much energy you are regenerating each day in contrast to how much you’re spending. If you’ve ever had the feeling of losing money, you know a little about what that feels like. It’s the same with personal energy only worse as you become more and more a shell of your former self, depleted of the life force you need to function, let alone succeed as a human being. A few weeks back I wrote up an article called The 6 Core Factors That Affect How Well You Sleep. Sleep is that big of a deal, and of all the aspects and key concepts we will help you master here in Performance Lifestyle® training, sleep performance is numero uno. Everything else depends on it. Mrs. Houston, you have a problem and I suggest to reconsider that story as taking care of everything else depends on your getting enough sleep. That’s obvious. Things have to change, and it’s not enough to just say that you’re going to get more sleep; there is way more to it than a passing consideration or resolution that will only ensure your current sleep routine continues selling you and your life short. No matter what your present situation, you can get more sleep and even realize surplus energy to meet and exceed the demands on your energy, but it requires sleep among other keystone energy management habits. To experience the surplus energy we aim to maintain in a performance lifestyle of our own making; get ready for a whole new view of sleep and what it takes to have optimal sleep performance that makes the rest of your life a lot more functional. In the coming couple weeks, we’re going to begin helping you get that performance edge (surplus energy) everyone wants. We’re going to begin helping you beat fatigue and approach your life, your family and your career from a position of strength. We’re going to help you get out of the red and into the green as you can see by the picture below. It’s not as easy as one may think at face value, as there are very few things that perplex people more than the subjective take they have on their own energy levels, their actual energy levels and what it takes to bridge the gap. There is a lot wrapped up in making sure that 1/3 of your life works so well, that the other 2/3’s are amazing. Juts wait and see what happens. You’ll soon have a whole new sense of influence or control over your life and god knows success-oriented people love to know that. It’s why sleep may just become your newest, highest priority.